Allergies are the reflected excessive reactions to few substances that generally cause nothing to most of the individuals. Common Symptoms of allergies, can lead to sneezing, coughing, itching and other similar health issues. But do not consider as anything that can be taken lightly, as in various cases it has been noticed that allergies triggered persistent respiratory infirmity. Rhinitis, allergic asthma, anaphylaxis, urticaria and contact dermatitis are few major diseases triggered by allergies. You will be surprised to know that many cases, allergies have even lead to death of the sufferer. If you have been sneezing from last one day, then you can’t call it an allergy. 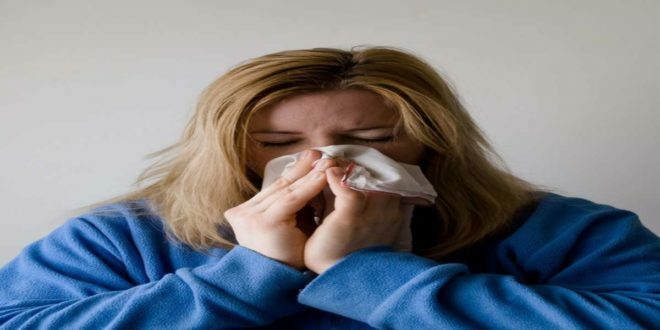 But if you have been troubled by sneezing for quite some time, or it gets triggered with something in particular (like getting closer to any object, under the smell of certain odour, and so on), then most probably it is allergy. Coughing is actually a positive process for our bodies. It clears the breathing passage in our body from microbes, foreign particles, and secretions. But when it becomes a routine and you keep coughing day and night, then you better know it is some allergy. The unpleasant sensory experience which that compels you to scratch the areas of sensation is commonly known as itching. There are several things that lead to itching. But when you experience itching is your sense organs, then it is nothing else but allergy, as allergies are known for often causing itching in eyes, throat and nose. However, none of these mean that allergies cannot be controlled. If you know it well and are aware of the methods to control it, you can live a normal life. Have you ever wonder why some people get dark eye circles? Why people get red circles on their skin? Well, it is just because of allergy. Redness anywhere on skin may be because of the allergic itching, whereas dark eye circles can be due to the increased blood flow near the sinuses, which is also a possible consequence of allergy. As discussed above, allergies can cause itching (or irritation) in eyes. The complication that is developed by that itching makes eyes dry. To compensate that dryness, the blockage of tear duct is released causing excessive of tears in eyes. Since the drainage system of our eyes cannot hold those many tears, our eyes look watery. This is one reason how we connect allergy with watery eyes. Another reason behind the same is that due to certain microbes (causers of allergy), our tear duct releases tears, causing watery eyes. Inflammation in the outermost layer of the eye (known as conjunctiva) that causes blurred vision, formation of a crust on the eyelid, and sensitivity to brightness is ‘conjunctivitis’. It is one of the most common sign of allergy. When you feel that you aren’t being able to breathe in sufficient air for yourself, then you better know it is due to some kind of allergy. Problems is exhaling air is also a part of this issues. Out of several reasons that cause headaches, allergy is one of the most prominent one. It has been observed in many cases, that 6 out of 10 individuals who are suffering from allergy also experience severe headaches. Although it isn’t a very common allergy symptom, but it cannot be ignored as well. Reason behind this is the fact that it is one of the most accurate symptoms of allergy. If anyone has been vomiting frequently, of if he/she feels like vomiting most of the time, then it is nothing else but some allergy. There aren’t many reasons that cause abdominal pain, which makes it a clear cut symptom of allergy. Perspiration is a very common consequence of body functioning. That could be the reason why you will probably be surprised to know that even sweating is a symptom of allergy. You must have seen people who sweat unnecessarily. Well, that is nothing else but allergy. These were the most prominent and noticed Common Symptoms of allergies. Now as you know them well, next time when a friend of yours complain any of these, recommend him/her to go and get checked if he/she is suffering from any sort of allergy or not, because most probably that person is.